Thank you once again to Mr. Lawrence for helping us to provide something like a correct reference. Found one this morning at Hin wong Pinnacle. Koh Tao. Think also it is a Citrina The alba kind has an orange line and more orange spots. 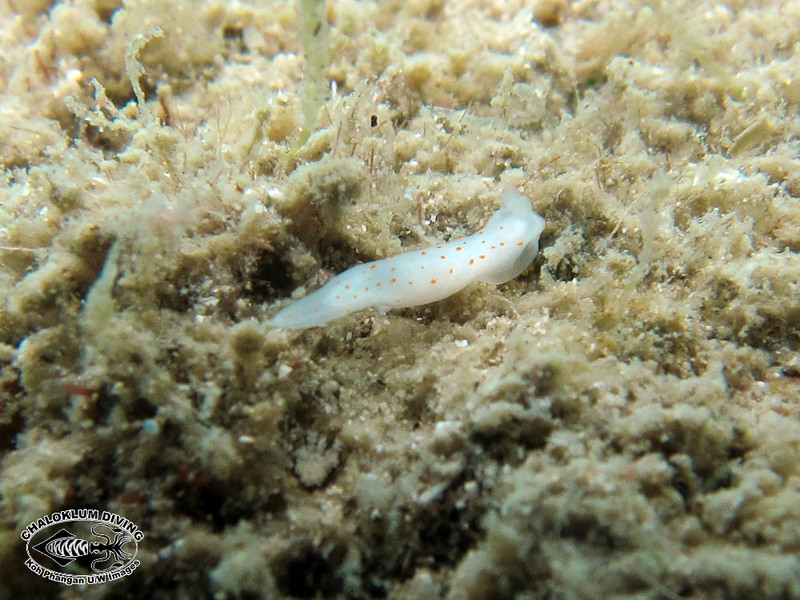 G. alba also has orange spots on the tips of the rhinophores. 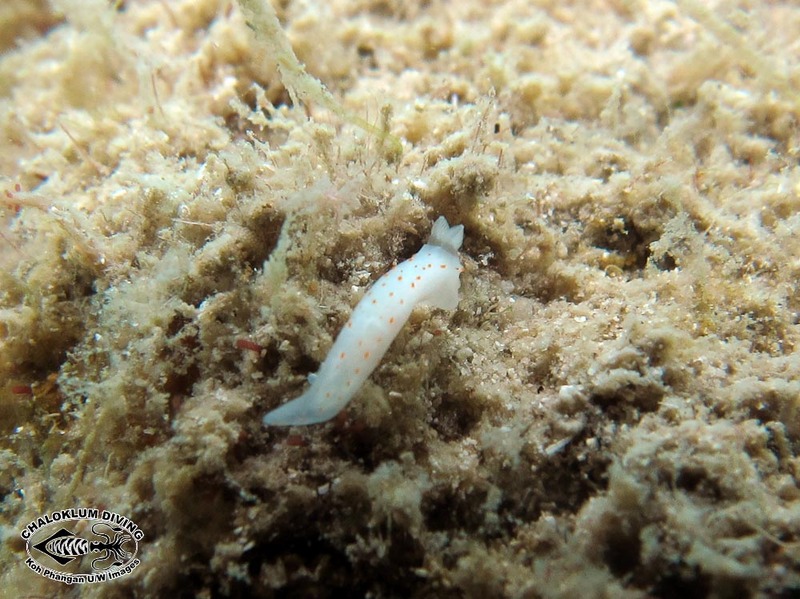 The photos have been moved to a new Gymnodoris alba page, but then when we look at Gymnodoris sp.5 we’re not sure!! And what is it’s prey, pray tell?